Moving house is not only stressful, but hiring the wrong team can cost you time, money and ultimately spoil what should be a great day. At White Van Gentlemen, we’re all about making sure there’s never any drama on the moving day. With our complete City removals service, we’ll make sure all you have to do on the big day is relax. Trusting us with your move means you can be 100% sure that everything will go smoothly, and you have someone on hand to help out with those last minute moving chores. We’re all about going that extra mile to make sure you get the most professional, courteous service possible. We always work to your time schedule, and are eager to ensure your next City removals are as easy as they can be. What’s more, with our complete packing and unpacking service, your life becomes even easier, as we’ll plan, pack, deliver and unpack for you. Can you imagine an easier moving day? Call us now for a friendly chat with one of our trained professionals and make sure your next City removals are in the right hands. 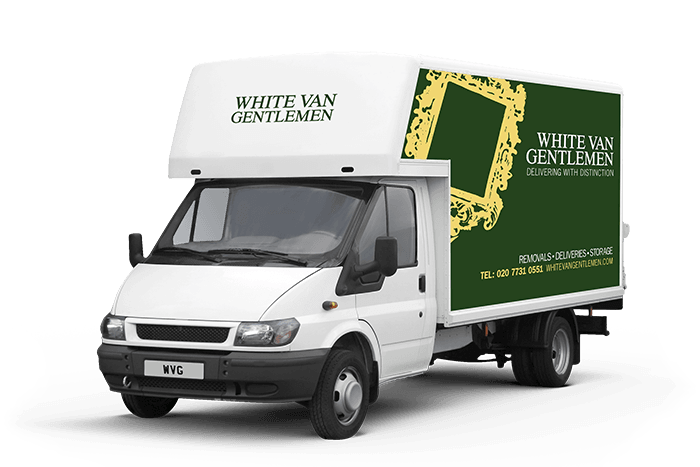 White Van Gentlemen has been servicing the City for deliveries, removals, office moves and storage for years, and our hundreds of delighted clients know that they just have to pick up the phone for our expert advice and knowledge. We work differently to most other companies in the transport and logistics field, as we believe in old-fashioned politeness and professionalism from start to finish. Give us a call today and find out exactly how we can help you.